playing The Crown Bar (also know as The Loft) in Dunoon this Friday 18th sep . Please phone venue first as almost sold out! Lineup confirmation and first live date confirmation in 20+ years! Chasar (Alec Pollock - guitar/vocal, Jim Marshall - drums, Ian Tait - bass/vocal) plays Zico's, Wishaw on June 20th 2009. Alec Pollock, Jim Marshall and Ian Tait rehearsed together this week (kicking off with The Wizard!) and are looking into the possibility of playing some gigs ... watch this space for more news as-and-when! 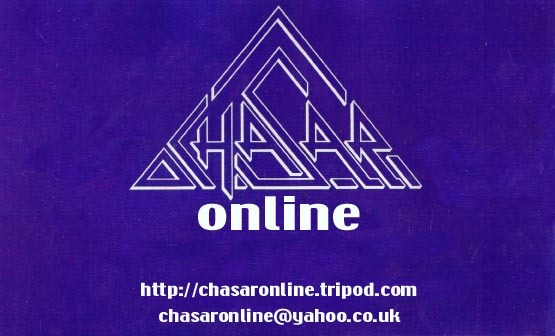 Chasar Online is intended as an information resource, for a band that hasn't played together in 18 years, so updates can only happen when there's something new to put on here, be it pictures, articles, sounds or yer actual news. As webmaster (stupid bloody word, that! ), I've got my hands full with my own musical commitments, so I can only check in on a fairly limited basis. All that having been said it looks like we're getting about 2000 page views per month here right now, so clearly there's still interest - so I'll make the effort then! In fact I hadn't looked in here for so long, the Chasar Online yahoo mail address had lapsed - I've since reactivated the account and will check it regularly. Honest. I've just sent an article and some new (old) pics on Chasar to the Glasband 80 website. I also have a bunch of new (old) photographs to be posted here hopefully in the next day or two. ‘Hey guys I am the drummer from Chasar. Just to say thanks to all your smashing comments, I was talking to Alec at a gig - if Ian Tait is up for it we could do a few showcase gigs. More Scottish dates have been announced for No Dice. No Dice + support will be playing Alloa Town Hall on Friday, September 6th, 2002. Alec Pollock is featured in new Channel Nowhere website '100axes', a review site based on a list of the webmaster's 100 favourite guitarists (Alec comes in at number 20). New Guestbook added - sign it! General 'sprucing-up' of the site. '100axes' reviews added, albums page added. Links and Recording History pages updated. The new issue of 'Sweden Rock' magazine features Swedish-language reviews of the Chasar and Exit albums which - as far as I can tell (!) are very positive indeed. 'SW' scribe Mikael Johanssen also lists the Chasar album in his playlist for the issue. Mikael is also writing the NWOBHM article mentioned last time (below), which is due to appear August 2002. 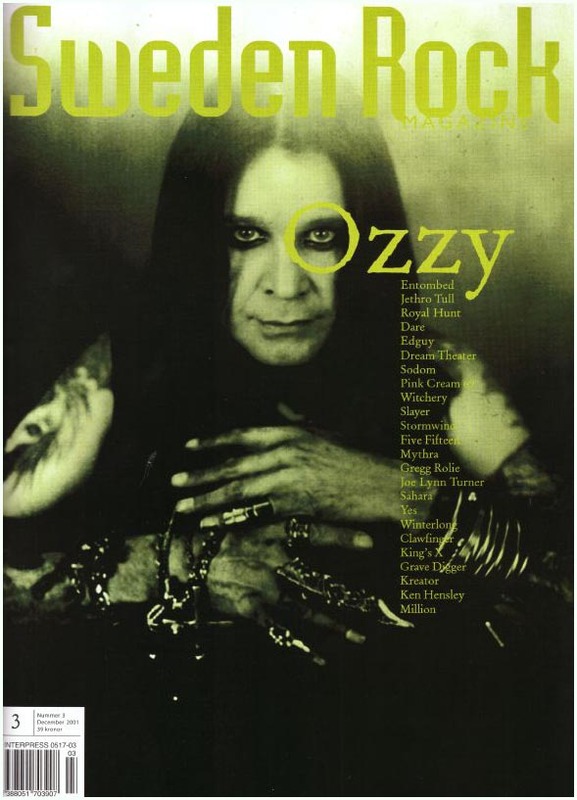 The magazine looks frankly better than any of its UK counterparts, featuring over 80 pages including articles on Ozzy, Slayer, Dream Theater, Kings X, Dare, Joe Lynn Turner and more. Chasar will be featured in an article on the NWOBHM in the next issue of 'Sweden Rock Magazine'. Alec was asked for comments on NWOBHM ans life as a Scottish band at the time. No Dice EP review is now up; News updated. The bids on the Chasar tape stopped at $36.00 - not bad! Just thought I'd mention that I'm selling my original cassette ( plus promo photo ) on ebay as of today.